We would like to update our PLC IC693CPU313U. But/BUT we do not have a copy of the Program loaded on the PLC. 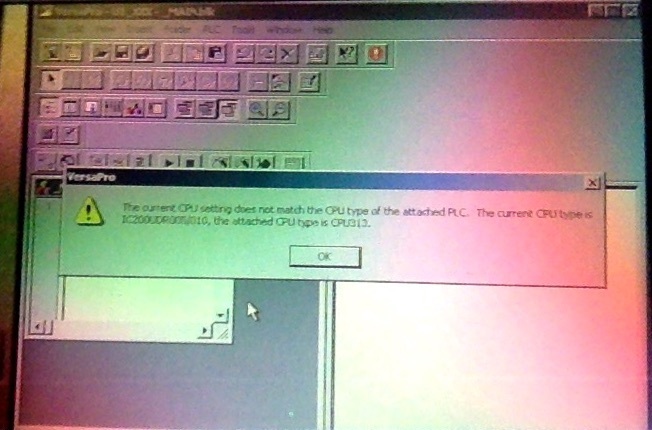 The only copy of the program is running on the PLC. We are trying to download the program directly from the PLC to the computer so we can then upload it later. We've had Techs out already, and they give up when they hear LogicMaster and VersaPro and IC693CPU313U. We bough a refurbished older laptop, it is successfully loaded with Lm90 and VersaPro. Computer connects successfully to PLC IC693CPU313U via serial cable. Online/Offline/Monitor success. 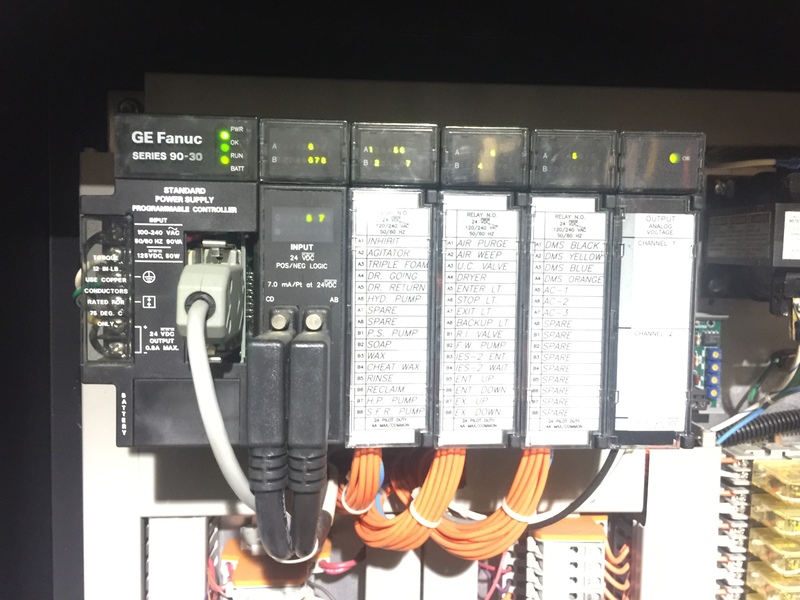 LM90 would not download the Program from the PLC to the Computer due to program on PLC being outdated. 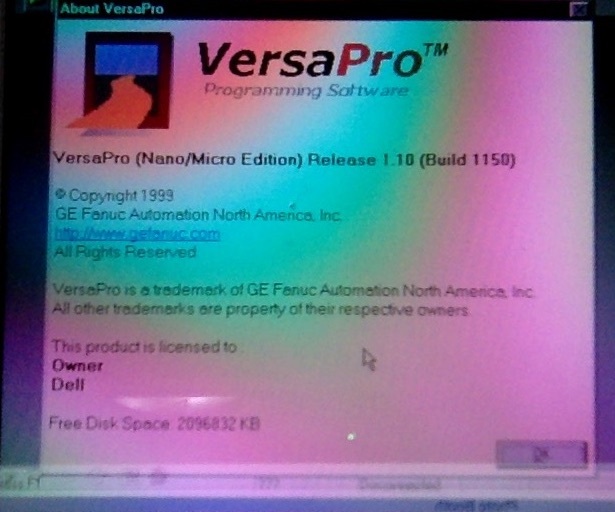 VersaPro would not download program from PLC, its error was: CPU not compatible with Nano/Micro edition. What are we missing in the instructions? Your interpretation of the terms "Upload" and "Download" is the opposite of the way both Logicmaster and VersaPro define them. Be very very careful that you don't accidentally erase the program. For example, if you were to create a new project folder with no logic in it and then perform what the software calls a "download" you would wipe out the program in the PLC. 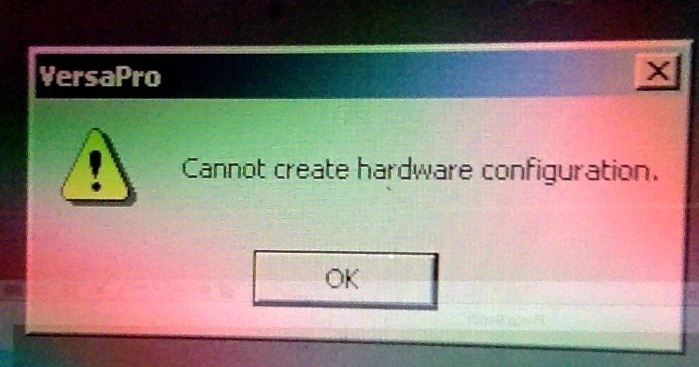 To the software, "download" is the transfer from the PC to the PLC. What were the exact words in the message Logicmaster gave you? How old is the PLC? You may not have the correct version of VersaPro. They sold a version that was limited to the VersaMax Micro product line. That version can't program a 90-30. It is also possible that you created a new project in VersaPro for a VersaMax Micro PLC instead of for a 90-30. If that is the case, create a new project and select the 90-30 as the PLC model. To do that, launch VP but don't open a project file. 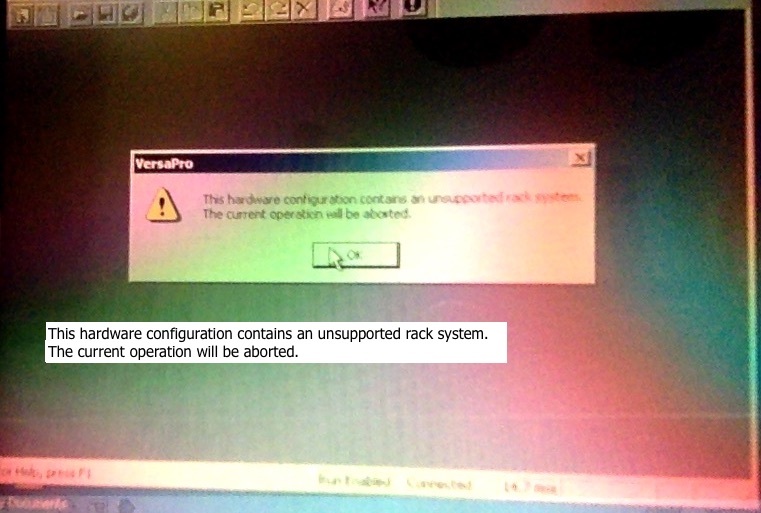 Then, from the "Tools" menu, select "Options" and select "Series 90-30" in the "Default Hardware Configuration" window. The PLC was installed as part of the system in 1999, so its a little old which is also why we want to replace it. We'll pause the system in a few hours, and I'll copy down the words on the LM error. You won't be able to use your instance of VersaPro with the 90-30. What you have is only good for the VersaMax Micro and Nano models. As you can see by the copyright date 1999 was around the time of transition from Logicmaster to VersaPro, so the program could have originally been written with either package. Early versions of VersaMax were quite buggy. Many long-time Logicmaster users delayed making the transition as long as possible. The PLC should be new enough to be compatible with the version of Logicmaster you have. The only compatibility issues I ever ran into with Logicmaster were with very old firmware versions of the PLC. 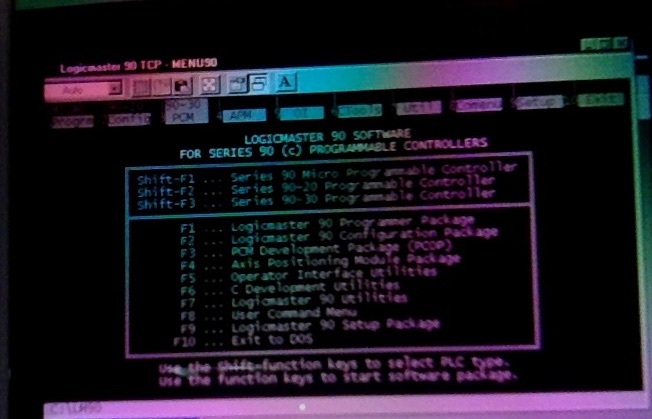 Logicmaster 9.02 was current in the time period when the unit was installed. 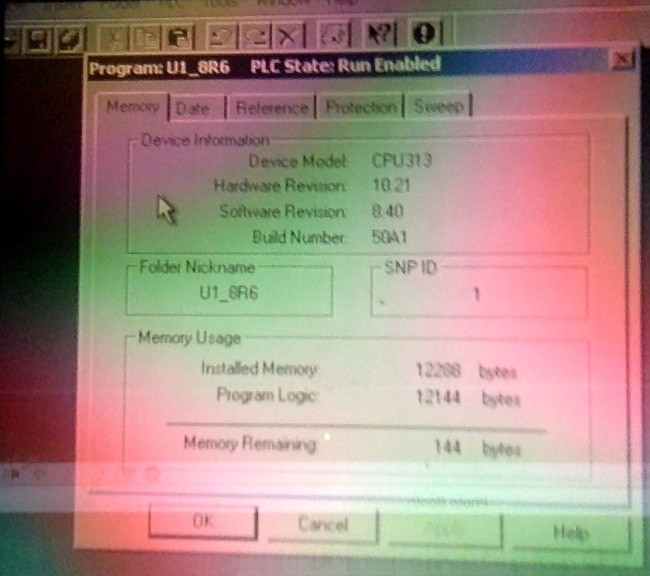 CPU313U is firmware version 8.4 which dates to around that time period. However, if it was programmed with VersaPro, you will not be able to extract the program from it with Logicmaster, no matter what version you have. VersaPro 'connects' and 'reads' the hardware (CPU313, Hardware Revision 10.21; Software Revision 8.40; etc). VersaPro version though doesn't recognize the CPU313 Hardware with a matching Configuration files (available list does not include 90-30 IC693CPU313)...which from what I understand is a limitation of the program. That message in Logicmaster tells me the program and configuration in the PLC were created using VersaPro. That means you can't use Logicmaster to extract the program. To do it, you will need the version of VersaPro that supports the 90-30. Have you tried contacting your local GE distributor? Maybe they can get you a VP installation CD with the correct version. That's a rather large program for a PLC with only 5 I/O slots. Tracking down LogicMaster 90 and VersaPro 1.1.0 (Micro/Nano) was problematic, but it did help understand the issues. After installing VersaPro 2.0, I was able to pull the program from the PLC to the LapTop. VersaPro did go equal after reloading the program back onto the PLC.